An excellent new review paper has been published in the Journal of Experimental Botany. 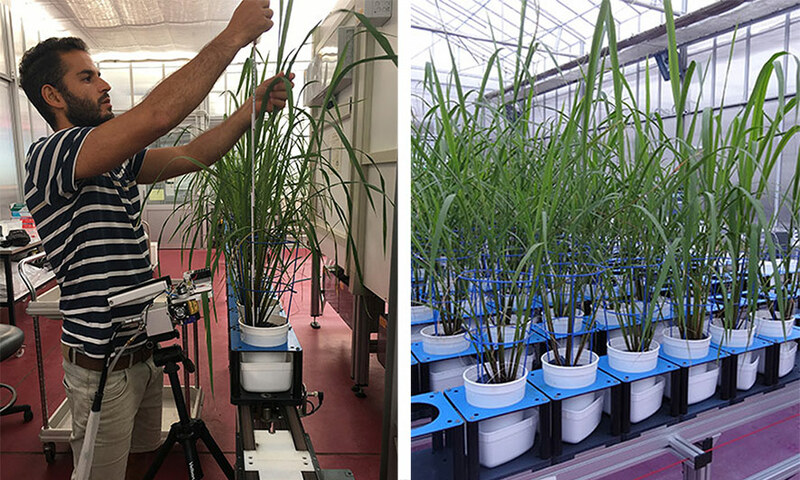 The paper, “The physiological and genetic basis of combined drought and heat tolerance in wheat” by our collaborators at the ARC Industrial Transformation Research Hub for Wheat in a Hot and Dry Climate, discusses what is known of the physiological traits and genetic control of drought and heat tolerance in wheat, and the potential physiological traits to study for combined tolerance. Wheat is a major food for many regions around the world. It is the second most produced crop in the world, providing approximately 20% of the daily calories and protein for 4.5 billion people. 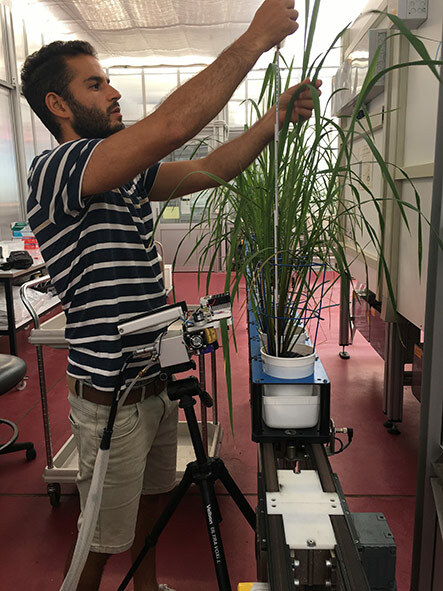 But drought and heat are two major abiotic stresses which impact wheat production worldwide, causing yield losses of up to 86% and 69% respectively. 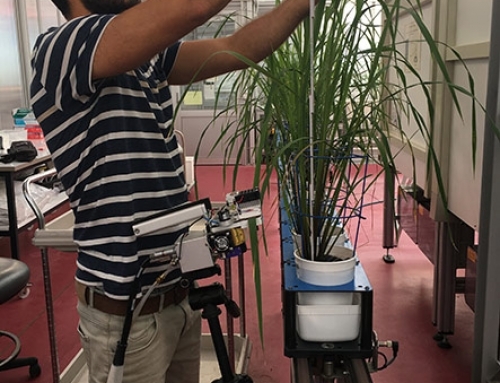 Overall, the combination of both high temperature and drought, which frequently occur simultaneously, has a negative, additive impact on plant phenology and physiology, reducing yields. While responses to the two stresses share some common mechanisms, other physiological processes are antagonistic. Although genetic variation and underlying quantitative trait loci for each individual stress are known, the combination of the two stresses has rarely been studied. 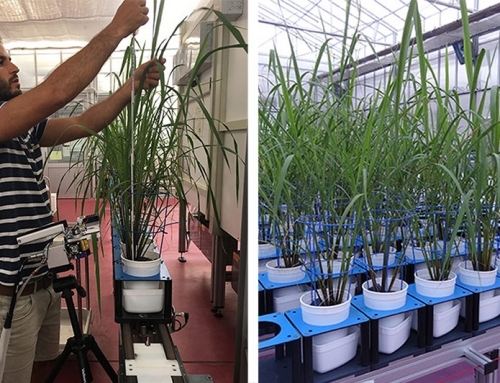 Producing wheat varieties with high and stable yields under these environmental stresses is one of the most important aims of breeding. 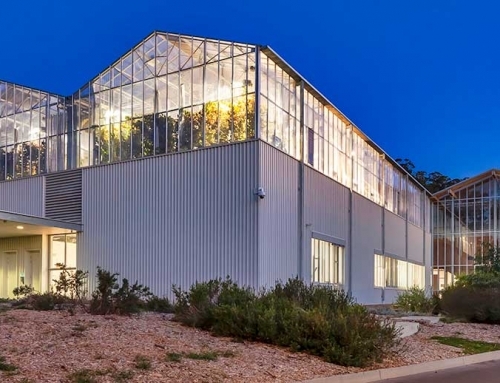 Recognising the challenges around heat application whilst maintaining a drought treatment, the APPF’s Adelaide node was pleased to announce a $1 million GRDC investment recently, which will provide new technology including a specialised heat and drought phenotyping capability – the first of its kind in Australia. 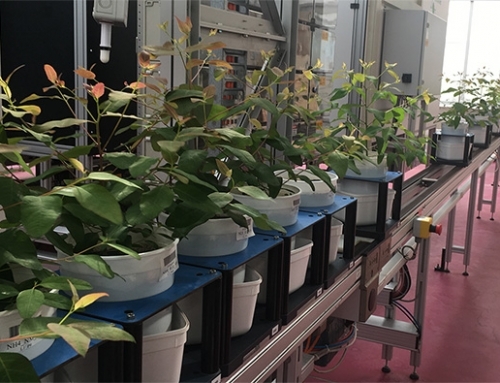 This unique capability will consist of two controlled environment rooms (CERs) fitted with programmable LED lighting and high precision, fully automated gravimetric platforms (DroughtSpotters) which assess plant water use with a precision of up to 1 g and include integrated irrigation units allowing precise and reproducible water application to 1 ml. 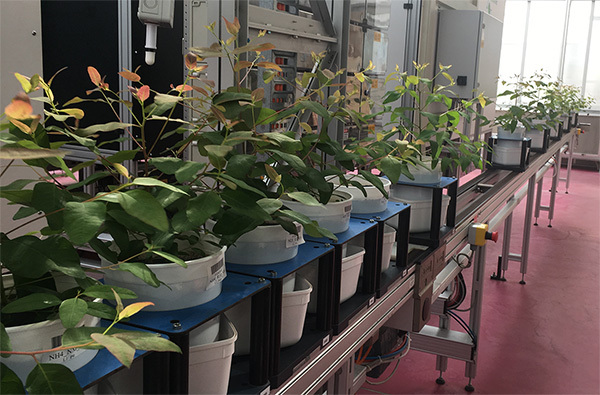 The specially fitted CERs, each with a capacity of 98 plants, will enable experiments to investigate two different climate regimes in parallel, with up to seven variables including light quality, CO2, humidity, heat and drought stress. Construction is underway, with the new specialty rooms expected to be available to researchers in the second half of 2018. 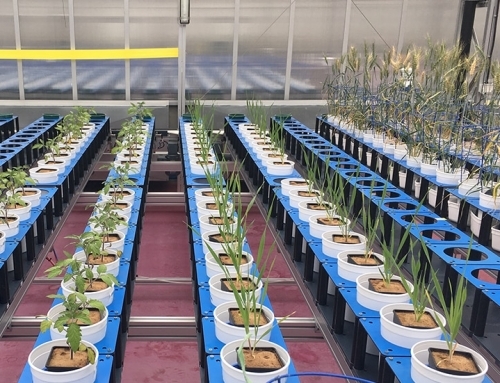 Much research carried out at the APPF investigates heat and drought tolerance in crops. 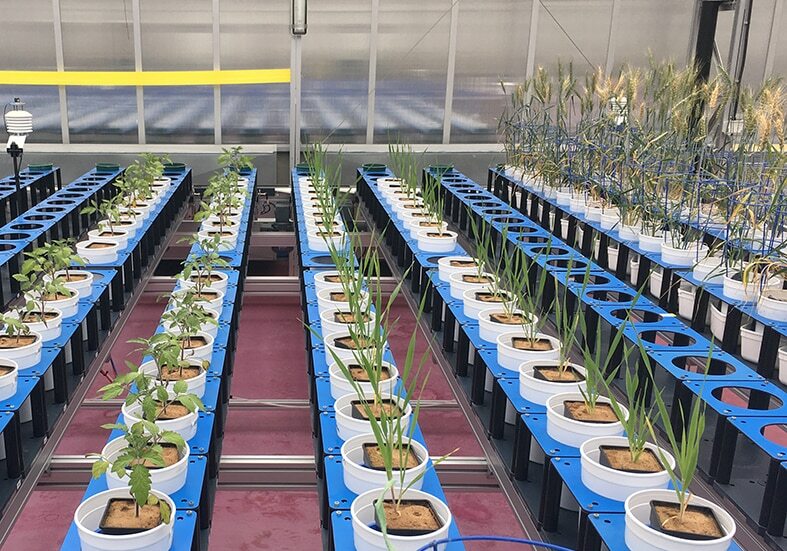 The APPF also offers outstanding research capabilities, available for hire, to apply drought treatments through the automated water-to-weight system in the high-throughput phenotyping Smarthouses and the fully automated gravimetric platform DroughtSpotter, as well as heat and humidity through the environmentally controlled Cropatron. Learn more about the extensive state-of-the-art research technology available across the APPF nodes or contact us. And, make sure you keep up to date with progress of our new specialty chambers by subscribing to our News or Twitter.